There are many benefits to riding bicycles, whether it’s for recreation, getting around town, or going to work. Besides the benefit of getting exercise, in many cities it’s easier to find parking for a bicycle than a vehicle. Now it’s also easier to get around, since access to roads, bike paths, and rural trails has increased. In addition, the increased use of bicycles helps reduce air and noise pollution, consumption of fossil fuel, and traffic congestion. Theresa Meyer, senior personal lines underwriter will discuss the types of bikes available and if your insurance policy provides coverage. There are many different bicycles to choose; what’s best for you depends on your use and the distance you plan to ride. Options range from the traditional bicycle, to tricycle, quadracycle, recumbent, and human-powered vehicles (HPV) such as pedal assist, electric, or motorized bicycles. 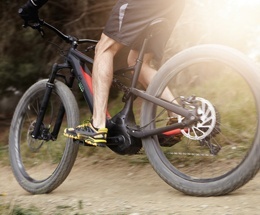 The HPV bicycles help the rider go farther or faster with less effort due to their design with pedal assist technology. The traditional bicycle is covered for physical damage as contents under personal property on the homeowners’ policy. If a motor is attached to a bicycle, as in the pedal assist-type bicycles, these now become motorized vehicles. The standard homeowners’ policy does not provide coverage for motorized vehicles. When making the decision to purchase a new bicycle, check with your insurance agent to see if it will automatically be covered or, in the case of a motorized bicycle, it should be scheduled in order to provide liability and physical damage coverages. This will help protect your investment.